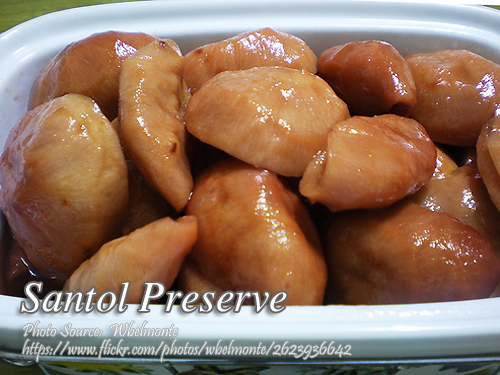 Palitaw is one of the most popular Filipino delicacy, also called kakanin, a Filipino indigenous snack. 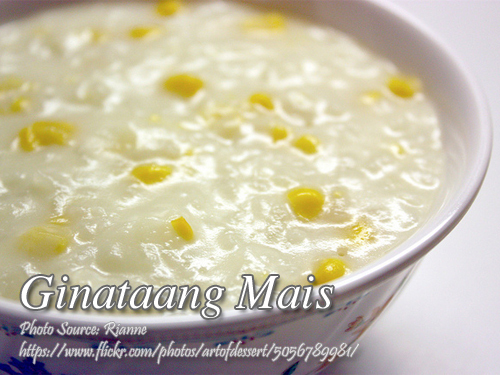 It is made from glutinous rice flour that is formed into a dough and boiled. The word “palitaw” means “to float” because when cooking this snack, you will wait until it floats on the surface of boiling water which means it is already cooked. 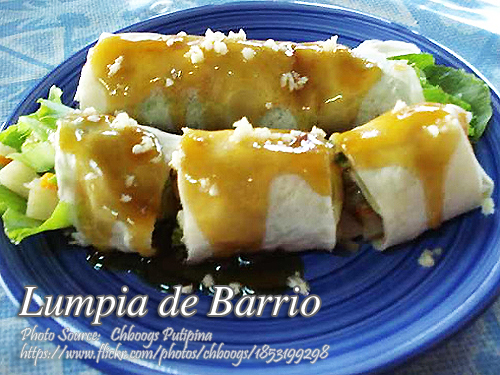 The original version of palitaw is coated with grated coconuts mixed with sugar and toasted sesame seeds. 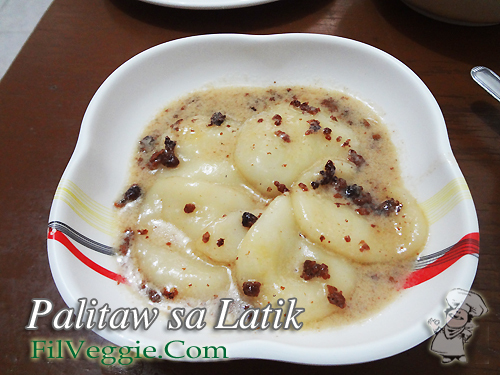 This version, palitaw sa latik is cooked with a sweetened coconut cream based sauce. Combine glutinous flour and water in a bowl. Then mix them until a smooth dough is formed. Scoop out about 1½ Tbsp. and form in a small ball. Then flatten into oval shape alt least ¼ inch thick. Place in a tray or plate and set aside. In a small basin, put the grated coconut and pour the hot water. Cool. Mash the grated coconut with your hands until you can squeeze out the coconut cream. Squeeze out the cream from the grated coconut and strain using a sieve then put it in a bowl. Reserve 1 cup of coconut cream for making the palitaw sauce. Don't throw away the grated coconut. Set aside for making the palitaw sauce. In a small pan simmer the coconut milk, stirring continuously until almost dry and the coconut oil comes out from the curd. Continue stirring until the curds are separated from the oil and the curds turn to brown but not burned. Strain the browned curds and set aside. Combine grated coconut and water and squeeze it until you can see the diluted coconut milk comes out. Mash and squeeze out the milk and strain to get the coconut milk. Put milk and sugar in a pot and bring to a boil until the all the sugar melts. Add salt to taste. While the sauce is boiling, put the palitaw one by one and simmer until the palitaw rise to the surface of the sauce. Add the coconut cream and simmer until the sauce is slightly thick. Add the latik and stir for a few second then remove from heat. It's now ready to serve. Enjoy!